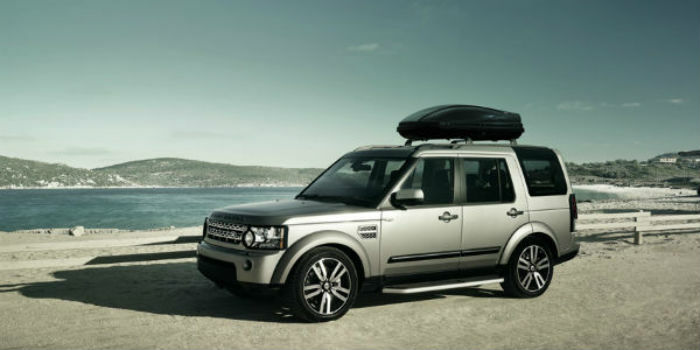 This is the fourth version of this versatile seven seater and Land Rover continue to refine and perfect a great car. Whilst not having perhaps the same urban kudos as a BMW or Audi this car has a British attitude of indifference to such concerns. It is a practical workhorse and if you need to take this vehicle off road it will perform. 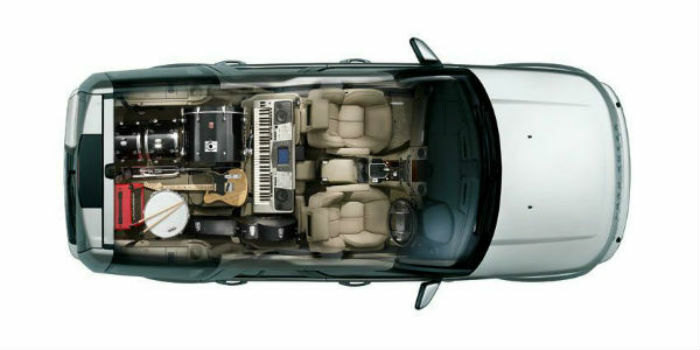 If you stick to tarmac the sheer space and seven proper seats will ensure that it serves your needs admirably. The only decision to make is over which model to choose: the GS, XS or HSE as all come with an excellent 8 speed automatic gearbox. 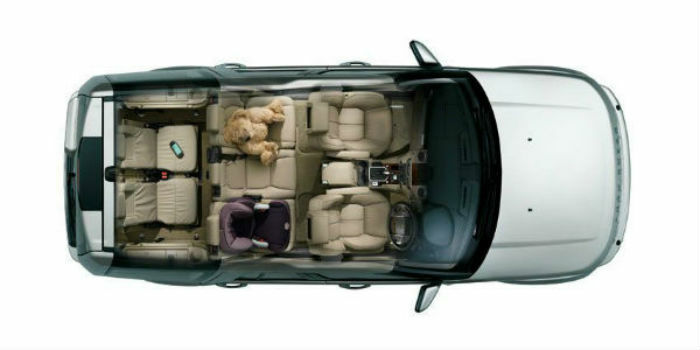 This car is meant to be used as a seven seater and passengers in this car enjoy plenty of space in all seats. It is one of the few seven seaters where adults can be comfortable even in the third row seats and because each row of seats is higher than the one in front everyone gets a good view! If you need to carry baggage as well you have no problems. 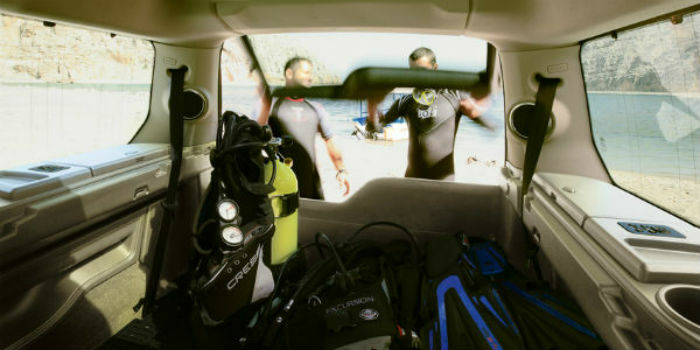 The boot seats fold flat to create a great space and if you’re carrying a lot of equipment you can fold the middle seats down flat as well. And if that’s not helpful enough there is a tail gate that comes down to make loading easier. Put the tailgate back up and unlike cars such as the Ford S-MAX you don’t need to worry about things falling out when you open the boot. You sit very high up in the Discovery with an excellent view of the road over the broad bonnet and although this is a large vehicle it is still fairly easy to manoeuvre thanks to its very boxy shape. You know where this car starts and ends. The 3.0 litre V6 engine is very smooth. 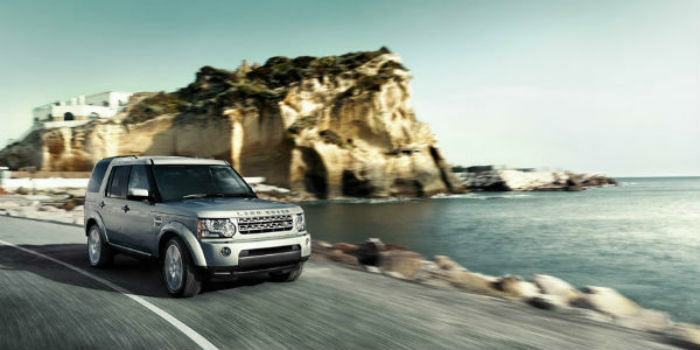 The Land Rover Discovery has some body roll around corners but it is not excessive and the ride is smooth and comfortable on some fairly rough surfaces. Take it off road and it handles like a proper 4X4 should thanks to Land Rover’s Terrain Response system. It has height adjustable suspension and permanent four wheel drive which means it will handle whatever you throw at it with ease and leave your BMW driving neighbours spinning their wheels. 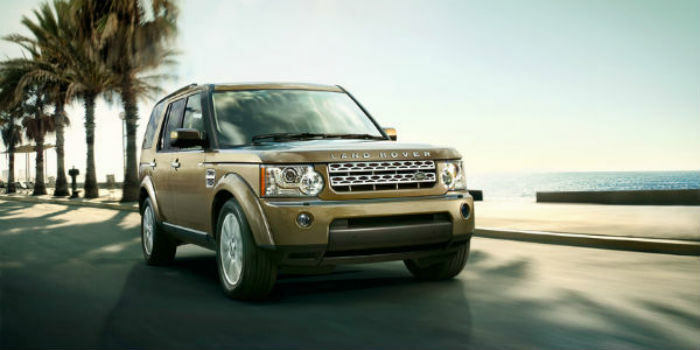 There is now just one engine available in the Discovery 4. There is a choice of a less powerful 3.0 TDV6 engine in the commercial version but in the seven seater you get the 3.0 SDV6. That’s not a problem as this engine is plenty powerful enough to shift this large seven seater and owners have reported that the SDV6 is a smoother engine. The 3.0 SDV6 delivers 255 bhp and does 0-60 in 8.8 seconds whilst returning 32.1 mpg. Top speed is 112 miles per hour. The 8 speed automatic gear box changes gear quickly and gives you enough power to overtake slow moving traffic safely. In the Discovery 4 LandRover have produced a very well put together 4×4 with a luxurious feel quite different from it’s early predecessors. 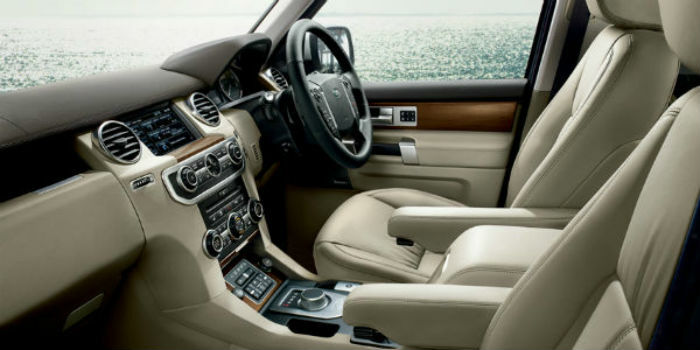 It has the same kind of quality interior that you find on it’s more expensive sibling the Range Rover whilst being so much more practical. The height and leg room in all seven seats make for very comfortable journeys for all passengers and very little wind noise intrudes in the cabin except at high speed when the height of the car and boxy shape means that the wind doesn’t flow over the car as other more aerodynamic models. Sitting up high in such a large, solid car gives you a sense of being invincible but is that faith misplaced? I would say not. And despite the fact that there is not yet a EURO NCAP rating for the fourth version of this car the number of safety features gives this car a great safety rating. There is an excellent stability control system which compensates for oversteer and understeer round corners and prevents roll. 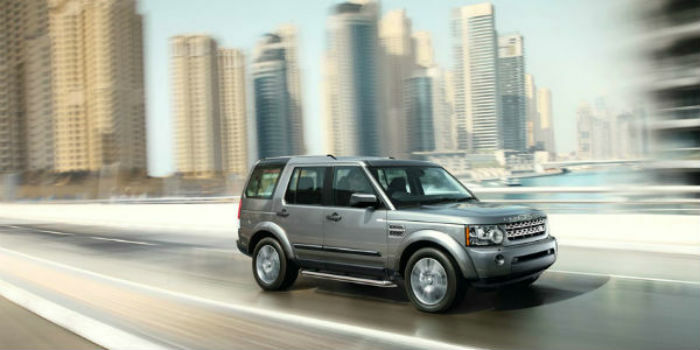 Traction control ensures the Discovery remains glued to the tarmac and Emergency Braking Assist ensures you brake safely and in time to avoid collisions. 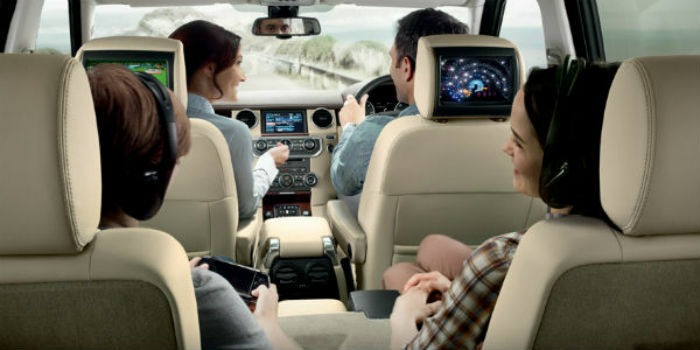 There are also eight airbags which cover all rows to give all passengers protection. Despite building some very solid and expensive cars Land Rover doesn’t have the best reputation for reliability but there are some signs that this is improving and so far owners have not reported anything different on this car. Fortunately the Discovery does come with a 3 year warranty and it may be worth thinking about extending it, which you can do any time before it expires. Running any car of this size is not going to be cheap. The discovery manages just over 32 miles to the gallon combined which is not too bad when you consider the 3.0 litre engine and the sheer size of this car. If you appreciate these points before you purchase you will not be in for any surprises. In terms of practical space, performance, ability on and off road this is the best seven seat 4×4 available in the United Kingdom. It is difficult to find anything negative to say about it other than the things that come with a car of this size, such as the running costs and the fact that you may sometimes find it difficult to find a parking space big enough to accommodate it. If you accept these as conditions of ownership you will find this is a very capable and practical large seven seater.